This guest post from Claudia Pennington is part of the “money stories” feature at Get Rich Slowly. Some stories contain general advice; others are examples of how a GRS reader achieved financial success — or failure. These stories feature folks from all stages of financial maturity. 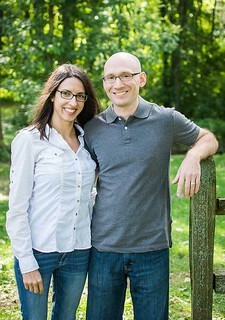 Today, Claudia shares the steps she and her husband have taken in their pursuit of financial freedom. Garrett and I were your typical, college-educated millennials (thanks to student loans) who purchased new cars (courtesy of auto loans) and an overpriced, pre-recession home with a 30-year mortgage. We were good consumers, the kind of consumers that lenders love: We spent on credit and we paid our bills on time. Fast forward to 2014 ?? We managed to acquire even more debt. We had a car loan, two car leases, a mortgage, student loans, and credit card debt. Living paycheck to paycheck was exhausting! It took years for us to realize just how tired we were. Tired of not having any time. Tired of not having any money. Tired of not being able to travel. After listening to people on the radio talk about similar money problems, we decided it was about time that we get our own finances in order. In 2015, we took a hard look at our spending from 2014. We didn't like what we saw. We created a plan to get out of debt and change our lives. Fast forward to today ?? We managed to eliminate all of our debt. We’re a one-car family (no auto loan). We paid off our student loans (paid Sallie Mae Navient back). We paid off our mortgage in just over a year. Let me tell you how we did it. According to Mint, we spent $45,954 on everything “Home” related during 2014. Our “Home” expenses included mortgage, insurance, repairs, remodeling, utilities, and any “stuff” we bought to adorn our home. Having a 1500-square-foot home was a drag. Between the money going out for heating, cooling, taxes, insurance, and many repairs and the time we spent cleaning it, mowing the lawn, and shoveling snow, we were over home “ownership”. After spending nearly $46,000, you’d think we might have made a dent in the mortgage. But no, you'd be wrong. At the end of 2014, we still had a mortgage balance of $156,000 because we weren’t paying anything extra. Our house owned us. Baby Boomers around us were dying to retire but finding themselves handcuffed to jobs in order to pay their mortgages. Neither of us wanted to end up like them. But in 2014, that’s exactly where we were headed. By 2017, we had sold our 1500-square-foot house, moved into a 500-square-foot house (yes, I'm serious), and managed to pay off the mortgage on the new place. Our $7,227 in expenses included taxes, insurance, utilities, and the “stuff” to take care of the house like soap, rugs, and whatnot. At one point, both of us had a Volvo and a smart car. That's right: Our household of two owned four cars. To acquire four cars, we had two car loans and two car leases, so it’s no surprise that in 2014, we spent $10,256 on debt, repairs, and insurance for four cars. And you know what’s really crazy? We had so much stuff in our two-car garage (hobby stuff, home stuff, deck furniture, etc…) that we struggled to park just one car in the garage. The time and money we wasted juggling four cars was obscene. By the end of 2017, we had become a one-car family. The leases on our smart cars ended in early 2017, so we paid the end-of-leases fees and returned those cars to the dealership. Most of our expenses in 2017 were the result of car repairs and maintenance, like a new computer, fancy synthetic oil, and so on. In total, we spent $14,532 on our medical needs in 2014. And all of the stress about money certainly didn't help our health! Eliminating all of our debt also eliminated much of the stress we felt about money. What a relief it was knowing that we were true homeowners, living mortgage free in our “tiny” house. Downsizing to the 500-square-foot home freed up a lot of time. No longer were we spending hours each week maintaining or remodeling our home. Instead, we spend our time hiking, kayaking, and doing all the other action verbs we enjoy doing. Between our jobs, half-done home remodeling projects, and countless medical appointments, we had convinced ourselves we didn’t have time to cook when we lived in our larger 1500-square-foot home. In fact, we thought that by eating at restaurants every other night, we were actually saving time. Going to restaurants all the time led to laziness and poor food choices. We weren’t eating well. We weren’t exercising. It’s probably no surprise that our health expenses were as high as they were because we weren’t taking care of our bodies. Looking back at that year, it's clear that we were the problem in our lives. The state of our finances was largely due to bad decisions and poor choices. But spending nearly $16,000 on food wasn’t the problem — a lack of accountability was our real problem. Honestly, food continues to be a struggle — even as I write this in early 2018. When we plan ahead and purchase enough groceries for the week, we’re okay; going out to eat isn’t even a thought. But when we don’t plan portions properly or we forget to go to the store to replenish the stockpile, we run into trouble. Our spending on food is down significantly, but there’s still room for progress. In 2015, we started talking about money and what we wanted to do with money in the future. We quickly realized that we weren’t spending money in a way that aligned with our values. Neither of us imagined that we’d be working until 67, but we weren’t doing what we needed to do in order to retire earlier. I started seeking out online personal finance resources to help us get our financial situation in order. 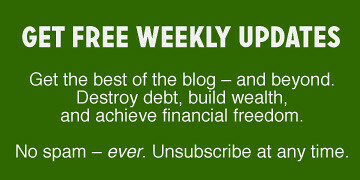 One of the blogs we found was 1500 Days, which is all about financial independence. It was the first time we'd encountered the term; it sounded as if though financial independence would lead to the life we sought. J.D. 's note: I love 1500 Days. It's one of my favorite finance blogs. Two of its best features? First, Carl is hilarious. And second, the blog contains plenty of dinosaurs. By April 2015, we set a plan for getting out of the hole we'd dug, to become money bosses for the first time in our lives. We wanted to achieve financial independence in 1500 days — on 19 May 2019. Having such a lofty goal meant we had to make some big changes. Since our saving rate was nonexistent, we stopped spending on all non-essentials and started budgeting. We challenged all of our expenses to see how low our spending could go. Each expense we lowered meant more profit margin. But cutting our expenses wasn’t enough to get us out of debt in the timeframe we outlined. We had to take bigger steps to rearrange our lives in order to accomplish our mission. I left a part-time job in favor of a full-time job. Garrett put extra hours into his W-2 sales job because of the commissions he could earn. We sold one Volvo and turned in the two smart cars at the end of their leases. Now, we’re a one-car family. Since I work from home, I’m content with biking around town to run errands or when I just want to hang out by the river. We’re just three years into this journey to FI, and I’m proud to say we are 100% debt free. No mortgage. No car loans. No student loans. No credit card debt. Our purpose for this journey was to create margin in our lives to pursue something purposeful, our “why,” something other than W-2 employment: a life of financial independence colored with slow travel and entrepreneurship. 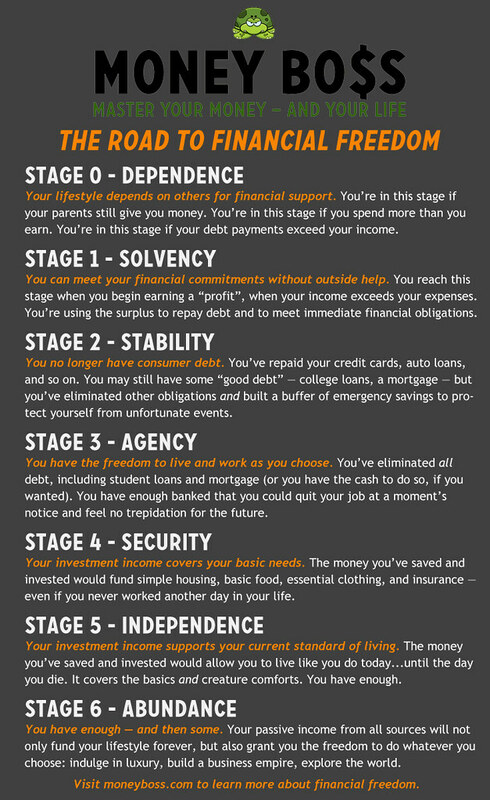 If you know about the stages of financial freedom, you know we’re working on Stage 4: Security. In the last several months of our journey to debt freedom, we were able to make monster debt payments — as much as $13,000 toward the end. We were obsessed with getting out of debt, so we didn’t save any money. Sometimes we had as little as $500 in our checking account. Most of the time, we had less than $100 in savings. In 2017, we made solid progress on Stage 4. We set aside enough in our emergency fund to cover one year's worth of expenses (about $30,000) and we invested the max in our tax-deferred retirement accounts. Pursuing financial freedom changed us for the better. We’ve seen significant improvements in our finances, but also our health and happiness. No longer are we broke millennials living paycheck to paycheck. Somewhere along the way, we became happier, healthier, self-actualizing, wealth-building millennials. And financial freedom is finally in sight. There are 22 reader responses to "Money story: Two broke millennials in pursuit of financial freedom". Inspiring post, Claudia. And I think it would be super useful to GRS readers for you to give some details re: dividend investing. What *exactly* are you investing in — or what looks promising to you based on the research you’ve done so far? Thank you, DH! We are still new to dividend investing and we don’t have tons invested. At the moment, we’re buying shares of VYM by way of our Vanguard account, but that may not always be the case. We also started testing very small amounts in Betterment and M1 Finance’s suggested portfolios to see if there are advantages to those. I love this post. I particularly like how you guys actually have your numbers from 2014. Making big sweeping financial and life changes like you guys have done takes a loong time, so being able to go back a few years and really compare your life then versus now is super fascinating. Thanks, Dave. Credit goes to Mint for retaining our data. Whenever we need a boost of encouragement, it’s nice to look at the charts to see how far we’ve come. We debated whether or not we should pay off all of our debt, right up until the end. Other folks keep low-interest debt in favor of investing, which makes a lot of sense. We share the sentiment you shared at the end — we’re happy that we paid off the debt, so we wouldn’t change anything. Some of those changes were extreme but the same principle applies no matter who you are! I have a much larger house but we bought it on the principle of affording it on half of our income. I’m curious if their turnaround changed their view of having children. That’s my biggest problem with FI, how having kids is often a casualty of the mentality either because theyre “expensive” or simply because they’re put off so long. A baby wouldn’t fit in their current house for long and 2 would be next to impossible. I think kids are more than a “goal” or “lifestyle choice”. I think they are important and while I support people being able to choose to not have kids I think its also a poor reflection on our culture when so many people make that choice. Yeah I think it is sad too. I would guess most had to deal with the employment market as well as how higher education is. It is becoming harder to get a good job with an undergrad and becoming necessary for some to get masters. This is creating where people are holding more debt from school and not making significantly more. This leads to people if they have kids to have them later. I honestly think there are two people to blame and that is the higher education on making grandiose promises of higher wages with a degree. I wouldn’t be surprised if in 10 years it is worth it to not go to college. Secondly, I blame HR who don’t do any due diligence to understand a candidate. To make matters worse as higher educations costs go up then the costs of having a kid go up as well. Honestly, I think top companies need to start coming up with better training and recruit more undergrads and maybe even high school students to help put pressure on the university to lower the costs. I disagree. Life has always had challenges, but our current culture encourages this idea that things need to be just so if you do want kids and either way children ruin lives. Kids just get a bad rep as being expensive drags on what you really want to accomplish. All I am saying is that when your 20-100k in debt and you had to go to school for a few more years it takes longer to get to the same point in life. Kids are expensive especially when you consider all the cost things you can do to help them in life. Granted I don’t think you should only consider financial reasons when deciding to have children. Just in my little circle of friends, there have been been two women who have given birth to babies with down syndrome because they waited until their mid 30’s — when their careers and lives were in perfect order — to have their kids. FYI–waiting until your mid 30s to have children isn’t the cause of your friends giving birth to babies with down syndrome. What you’re thinking of is the statistics that show the incidence of down syndrome rising in women who are of more advanced reproductive age. It’s a correlation. Not causation. At age 25, your risk of having a baby with Down syndrome is 1 in 1,340. At age 30, your risk is 1 in 940. At age 35, your risk is 1 in 353. At age 40, your risk is 1 in 85. At age 45, your risk is 1 in 35. Yes, I know the statistics by heart. The rest of what you say is really tongue-in-cheek, though. Older age is also associated with higher cancer risk. But it’s simply incorrect to say that age itself causes cancer. The same way age (reproductive age), in and of itself, cannot cause down syndrome. That’s just lazy thinking. Hey S.G.! 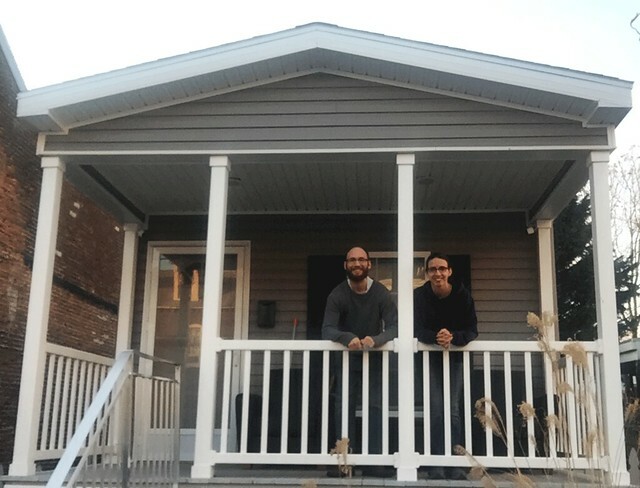 The big house’s mortgage payment was less than one-third of our income back in the day before we started on this PF journey, but the house was purchased at a different point in our lives that no longer made sense with where we wanted to go. Regarding kids, I don’t speak on this subject, other than to say that we never wanted kids and we’re content with our decision — it was never about money. Way to go, Claudia! You guys have done an amazing thing here. It’s very encouraging to look at your progress. And I really appreciate your answer about remaining childfree – people that think that decision is purely financial for everyone are really missing the point. I used to make the mistake of explaining my reasons for being childfree by choice to others – it just gave them more information with which to judge me. I’m glad you’ve learned early on that you don’t owe anyone an explanation. Keep it up! There are many reasons, financial and non-financial, to not have children. Environmental, not wanting to pass on hereditary physical diseases or mental health issues, having a truly scarring childhood, not liking children, high-risk pregnancy for someone with a health issue are just a few. Not everyone is meant to be a parent, and the people who realize that should not be pressured into having children. They also shouldn’t be fed the myth that “it will all change when they’re your own” – if that were true, we would not have mothers driving their van full of children into a river (or insert any other heinous headline about infanticide from the past few years). I, for one, would not have children regardless of how wealthy I became. I’ve never once in my 42 years wanted children. And I don’t even hate children, I like them! I like baby tigers too, but I would not want one in my house. To you, children are important. To others, it is important to have time and energy to volunteer, or even just to be able to unwind in silence at the end of a long workday without having the neverending job of meeting every single one of another person’s needs. We don’t get to decide what’s important to another person or what they should or shouldn’t have in their lives. I would be interested in reading more in-depth about how you think it’s a poor reflection of our culture when many make the choice to be childfree. Traditionally, more children were born per family because of high incidences of fatal diseases and high infant mortality rates, in addition to needing more hands to work on one’s homestead. It was also, until recent times, not a choice for women to have children. In comparison, our current U.S. culture has provided a safer place for children to be born to those that want them, and not have them automatically born into forced hard labor on their parents’ property. It also has given women (and couples) the choice to either delay parenting until they are ready or not have children at all. That’s all a win, in my opinion. And really, it’s no one’s business but the couple who wrote the article whether or not they want children. Congrats to you guys, that’s some serious cost cutting. Especially on the food. Food costs are always a struggle and it’s nearly impossible to keep fully optimized in that area, but cutting it in half like you guys did is impressive! Aw, thank you. When it comes to food, it’s always a work in progress. Amazing how easy it is to be lazy one week, skip meal planning, and end up making poor choices that cost a lot of money! Perfect motivating article! Curious – are you doing automatic purchases to dollar cost average or are you waiting/building up capital and then investing when your analysis says – “go”. Thanks! Hey Lanny! We’re building up capital and making contributions twice a month. What I’ve found is the process with Vanguard is quite slow between the transfer, settlement, and then ultimate trade…nearly two weeks go by. Wow, even with four vehicles your car expenses weren’t that high! Good work on all the positive changes. I’m curious about the house change, since housing is often the biggest expense and no having to pay as much is a great hack. Did you transfer your student loan from Sallie Mae to Navient? What were the advantages? Do you recommend it? Congratulations on what you have accomplished. Thank you for sharing your story!